Hello Stamping Friends! It rained yesterday morning so I was finally able to sit down and make some cards. A friend, Sister Elizabeth, had asked me to make a card for her parish priest, who is retiring, so this is the card I made for her. 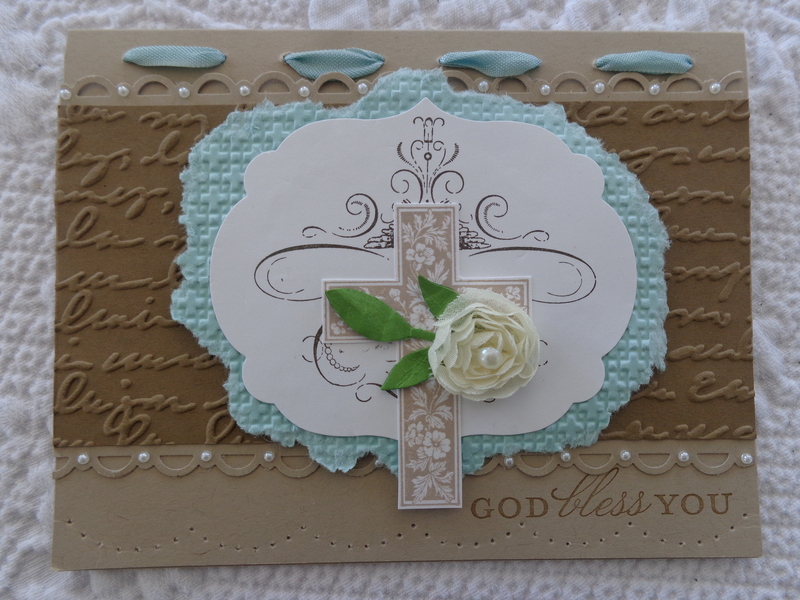 It was the same lay-out as another card I had made earlier this Spring, which was a CASE from Ann Schach. 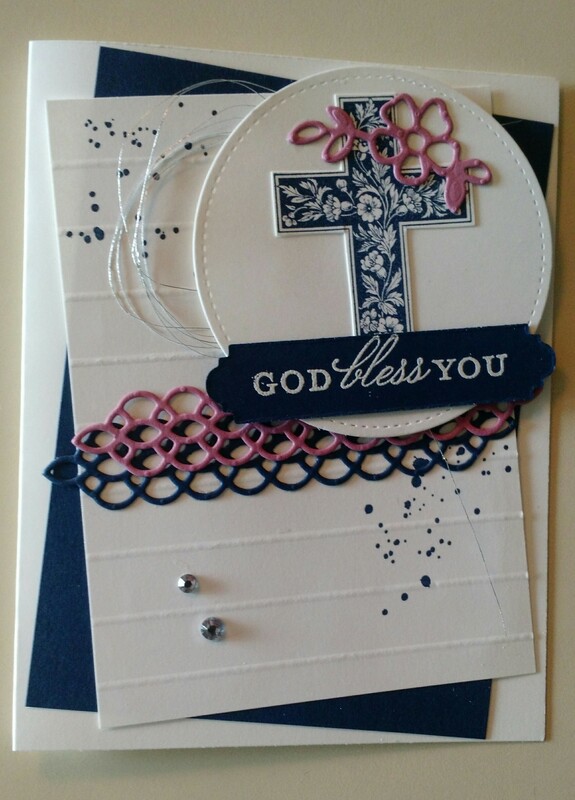 This card uses an old set, Crosses of Hope, along with the Petal Palette set and some Gorgeous Grunge. Cardstock colors are Sweet Sugarplum and Night of Navy. The inside sentiment says “Congratulations on your Retirement” from the Wild About Flowers Stamp Set. The sentiment is meant for a good and holy priest who is retiring from active priesthood today. He was THE most effective priest I’ve ever known…people used to line up ten deep at my office door after Mass (I was the religious education director at the time) to discuss the Gospel and the Homily (sermon). My heart overflows with happiness for him, knowing how much he has looked forward to retirement. I hope it’s heaven on earth for him! Advent (the four weeks of preparation and waiting for Christmas) began yesterday and we started watching the first segment of Susan Conroy’s “Coming to Christ” dvd series. It is EXCELLENT!!! It is filmed right here in Maine and gets right to the basics of how to find Christ in our lives. If you are looking for some spiritual practice for Advent, I highly recommend it! God bless you during this season of Advent, and happy stamping! P.S. Retired Crosses of Hope Stamp Set for the cross and sentiment and From My Heart stamp set with the image upside down behind the cross).